These glasses were instantly my favorites! 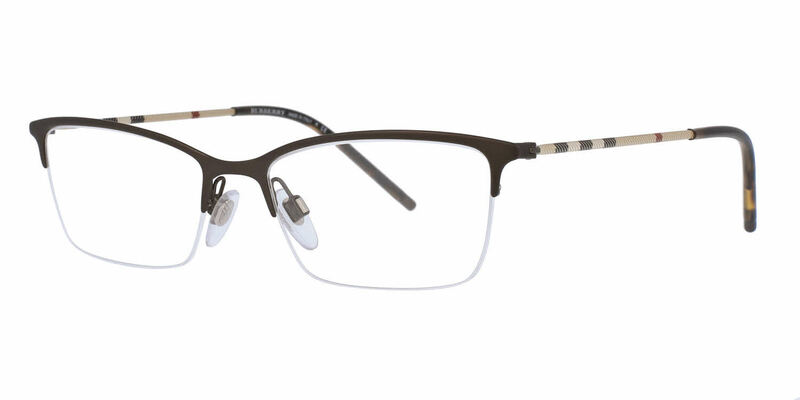 The fit is perfect, with no lower rim to obstruct my view and very narrow side frames that are very comfortable -- and flattering with my blond hair color. The rim has just enough lift to keep my facial features interesting. The service from Frames Direct was fast and efficient and the price was only half the cost from LensCrafters, which is what we all want, right? I will be purchasing all my future glasses from FramesDirect.com. Had originally found them in person at a store but was unwilling to pay full price. So lucky to have found them at FramesDirect.com and got a fantastic deal. I LOVE these glasses. They look exactly as depicted online, the prescription was spot on and they fit wonderfully right out of the box. This was an experiment with me, my first order, and I am beyond pleased. Last year I spent big bucks on a pair of glasses that are so ill fitting I stopped wearing them - per the Drs office, there wasn't anything they could do further for a better fit. Silly. These were perfect right out of the box. I'll be back. Excellent quality - needed some fit adjustments but had no problem taking it to local store for that. Prescription is right on target! Beautiful shape and very light weight.